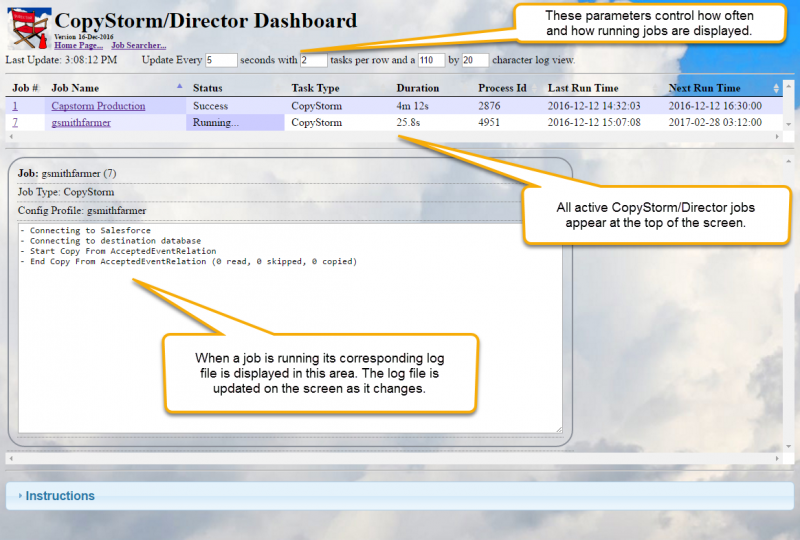 The CopyStorm/Director web tool includes a dashboard suitable for interactive job monitoring. All active jobs are listed in the top half of the dialog, along with the status of the most recent run. When a job is running, the bottom half of the dialog displays the log file generated by the job as it is running. When the job completes the log file viewer disappears. How often the CopyStorm/Director database is polled. How many running tasks are displayed per row. How many rows and columns are displayed for a log file. All rows/columns are accessible using a scrollbar.